As explained in the opening post in this series we seek to bring to life the various, innovative ways in which Method Grid is being used. 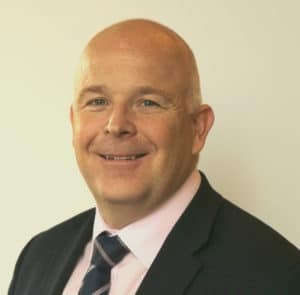 In this interview, Dom speaks to Paul Wilson, the MD of Provelio – a leading UK-based project management consultancy with expertise in strategic, capital-asset-intensive projects (often involving building, people and technological change). Specifically, they have a hard-won reputation for their successful management of many large-scale construction schemes. The interview explores the development of Provelio’s capital projects methodology. 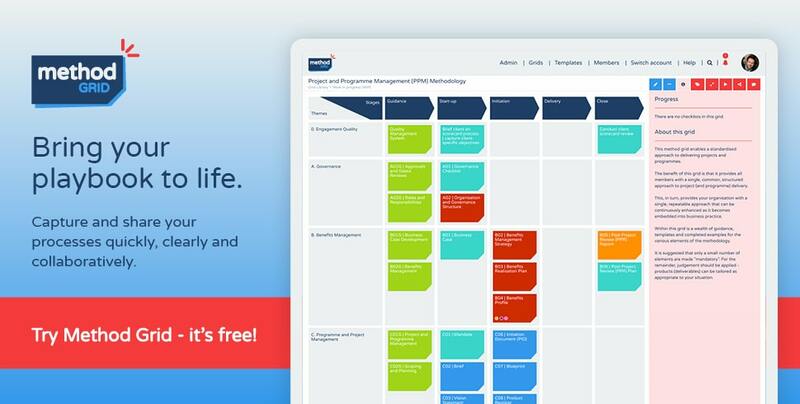 Paul describes how they transitioned from their rarely-referenced ring-binder manual to their new Method Grid account: bringing this core methodology to life as a centralised, continuously-updated tool for their team of expert project managers. Paul provides some tips as to how they went about this initial transferral exercise as well as how they keep it up-to-date and embedded in the firm’s way of working. 1) Linking their methodology to accepted sector-relevant practices; in this instance, the RIBA stage approach which their grid builds upon. The themes within this grid talk to the different user classes within a construction build project. 2) Anything that is repeatable in the business, he seeks to capture in a grid such that he can quickly induct new staff in the Provelio way – and then ensure that such practices are consistently delivered thereafter. 3) Most aspects of the construction process (80% plus) are heavily-repeatable and by capturing these steps (along with all related knowledge items) in a grid, his team of project managers can focus on the anomalous 20% (the place where his clients really need their expertise). 4) Grid elements in the capital projects grid include links to best-practice external advice, videos, internal experts in the company, examples of templates and completed, quality examples (as a company standard). 5) Important cultural point for the company is to recruit methodical staff who don’t want to keep reinventing the wheel but who would rather proactively invest the time in developing repeatable, systematic ways of working. 6) Paul emphasised how important it is to develop conceptual models for client services. Initially, he got three of his experienced colleagues into a room – for them to download the common aspects of their service expertise. 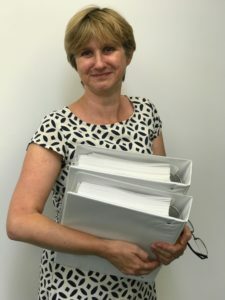 “They found this a really positive experience … they were hugely reassured that a centralised,common resource was being built … mitigating the risk of this knowledge being forgotten”. 7) Use of off-site staff days to train the company – run them through key grids. These are run 3-4 times a year and Method Grid sessions are “the spine of these days”. 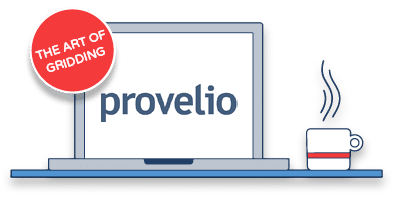 8) Provelio use Survey Monkey to check in with their project managers (every 3-6 months) to capture new deliverables, service ideas, lessons learned which, in turn, can be curated back into their Method Grid platform. 9) His recommendations for a future Method Grid enhancement that he would like to see – and Dom’s response to this! In conclusion, this is an excellent example of how a project-centric advisory organization (involved in large-scale building construction specifically) has developed – and continues to maintain – its core repeatable approach. As reinforced in the accompanying case study, this has brought the benefit of consistent delivery with respect to the 80% of their profession that is common to all clients/projects – such they can focus on the anomalous 20% that brings their further expert-advisory value to bear. 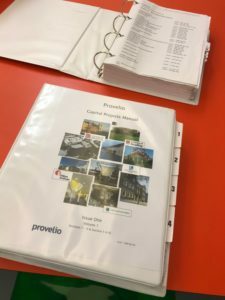 A huge thanks to Paul for his time in explaining how Provelio deploy Method Grid to facilitate the delivery of complex construction schemes. We will not be committing to any post frequency in this series – rather just a post every now and then when something really captures our eye. We have a few already lined up – but remember you have to invite us into your account for us to see what you are doing … so, if you have a Method Grid story you would like to tell, an innovative application of the product off of the norm … drop me a line. We would love to take a look and help you share it! Please just message in the comments below or via our contact form or Twitter.